Hull city would “need a miracle” to stay up. That was current coach Marcos Silva speaking on the day he was given the baton to lead then rock bottom Hull out of the shadows of the EPL’s relegation zone. And a miracle it almost was from turning a team that won just thrice in the 21 preceding fixtures to the one that won 6 out of the 7 succeeding home fixtures including a 2-0 win over Liverpool who was by the way chasing the title at that time; Marcos Silva definitely came close. Iran and Romania have signed a Memorandum of Understanding (MoU) as both countries plan increased cooperation between them. The nations signed the MoU at the headquarters of the Iran Football Federation in Tehran. The head of the Iranian Football Federation Mehdi Taj and the head of Romanian Football Razvan Burleanu were present during the landmark agreement. During the signing, Taj said: “Iran and Romania football have so many common characteristics, and the European country is available to travel for our teams. To develop football in the various areas focusing on the area of girls and women’s football development, coaching and referring are our priorities”. While Romania could be helping them with their goals, Iran would help the European side in beach soccer and futsal – competitions that Iran have won medals in recently. Over the past few months of 2016, several reports of interest in Razvan Marin by Viola had been on the rise. With the opening of the January window, the rumors are back on which may likely see Viola place a bid for the player. At the moment, Marin plays for Vitorul Constanta, an outfit managed by Gheorghe Hagi. Putting the obvious Fiorentina connection into consideration, it is quite sensible that Corvino would try tapping into this source of talent. The 20 year old Romanian midfielder is just more of a prospect for the team than an immediate reinforcement. However, if he holds his lines well, he could turn out to become a star. Ianis Hagi is a potential Romanian superstar and he recently joined Fiorentina in the hope of making it big in European football. He is the son of legendary Romanian footballer Gheorghe Hagi. 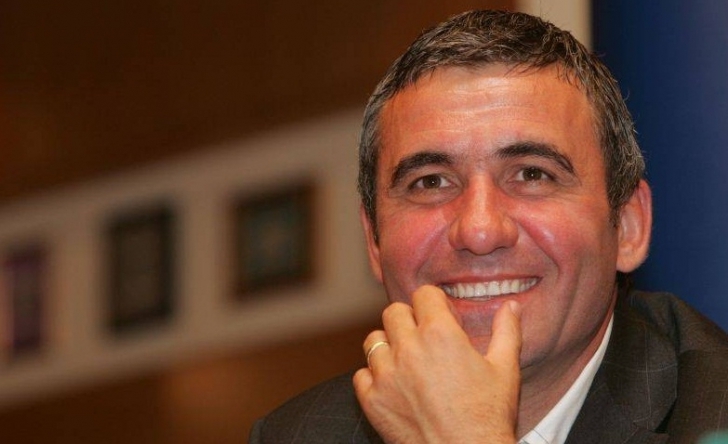 Many regardGheorghe Hagi as the greatest ever Romanian footballer. Currently working as a manager, he recently spoke about his son’s move to Fiorentina. After having worked with the youth teams at Steaua Bucharest, the youngster made his debut forViitorulConstanța in 2014. It did not take long for clubs to take notice and it has not been just because of the last name. Following a lot of interest from clubs across Europe, the 17-year-old decided to sign for Fiorentina. The Italian club may not stay to be offering the ability to win trophies, butIanis requires regular first-team football at this moment in order to continue his development. Furthermore, he needs to be alongside the top professionals in order to acquire their ways and learn the game as he goes along. When asked about his son’s choice of signing for Fiorentina,Gheorghe Hagi claimed that he had no say in the transfer and that his son was completely free to make the decision for himself. The former Romanian superstar says that he is happy with the progress made by his son at the Italian club. GheorgeHagi is considered to be as one of the best players from his generation and from Romania as well. Hagi was even compared to the likes of Diego Maradona as both of them had a fairly similar playing style and had a temperamental attitude. The retired playmaker gained reputation for his outstanding skills as he was a player who could create goal-scoring chances and perform in different position around the pitch. It’s no doubt whatsoever that GheorgeHagi had a very successful playing career but when it comes to his managerial career, it’s a completely different story as he recently abandoned the managerial position of his own club Viitorul Constanta due to a string of negative results. Viitorul Constanta is the club that he founded back in 2009 and he took charge of the team on 2014 but he opted to no longer coach them after only being able to secure 2 points from their last 8 matches. This is not the only disappointing managerial spell that GheorgeHagi as the Romanian figure has coached a number of different clubs and during the time that he spent in charge of other teams, most of the results that Hagi gained were either defeats or draws. Current Head coach of FC Viitorul Constanța, Gheorge Hagi expressed his disappointment at his team for losing to Dinamo Bucureşti in the match on Monday, 4th April 2016. FC Viitorul Constanța lost by two goals to one and increased their poor run of games. FC Viitorul Constanța has not won any of their past five games. The team currently sits in fifth place in the Romanian Liga 1 champion group. On the other hand, Dinamo Bucureşti is in second place with a point behind league leaders. The legend who turned 51 in two months ago, founded the club in 2009 after taking charge of the Romanian national team. He remains the owner and chairman of the club. The Galatasaray star retired in 2001 after a successful spell in the club. He moved to the club from Barcelona and has played for other top teams that include Brescia, Real Madrid and Steaua. Many footballers and managers nowadays just focus on winning games at whichever cost that might be. Faking injuries, wasting time, claiming undeserved set-pieces are just a few of the methods that certain players try to do in order to give their respective teams advantage and win matches but there are a few exceptions to this growing tendency and GheorgeHagi is one of these exemptions. The former Romanian midfielder retired from playing professional competitive football back in 2001 and he did not hesitate in starting a managerial career as he took charge of the Romanian national football team and has coached a number of different clubs. Brazil soccer legend Ronaldo has disapproved Neymar’s actions that led to his dismissal in a recent Copa America match against Colombia. Brazil lost the match 1-0 and there were a lot of tempers during the match. Neymar is widely recognised as the best player at the disposal of Brazil. His absence is widely seen as the reason for the team failing to win the World Cup 2014, but the Barcelona superstar was determined to end the misery by leading his team to Copa America success. This did not turn out to be the case after his dismissal was further worsened by a four match suspension by the Copa America committee. GheorgeHagi was considered to be one of the best players in the world between the years of 1980 and 1990. Hagi is even hailed to be the best Romanian player ever and now his 16 year old son is following his footsteps. IanisHagi the son of GheorgeHagi and at the young age of 16, he is already being viewed as a promising figure who can turn into one of the greats just how his father is. Ianis has been signed by the Italian side Fiorentina as this was confirmed by the former player of Fiorentina, Adrian Mutu.